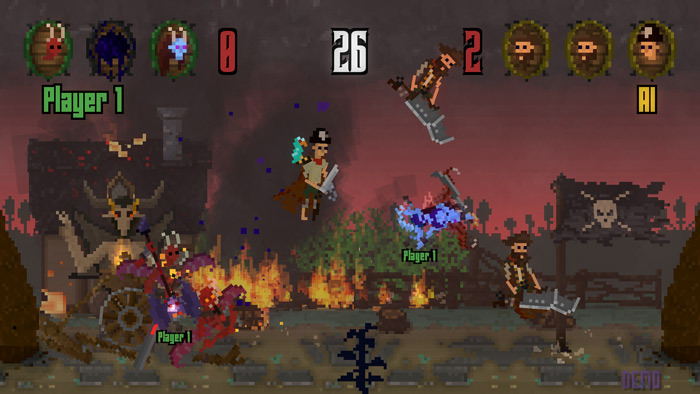 "A one key multiplayer game"
Skirmish Demo is a fast paced action beat 'em up game where even if you only have one finger you are still able to play because to win the game it simply involves tapping one key as quick as possible. When you start you will be able to assign whichever key you wish to be your "hot" key and if playing with friends you can all choose which key makes it easiest for you due to its location on the keyboard, you can play the game on your own but it is a lot more fun with friends. The one button system is unique but can often mean it feels that the game comes down to chance rather than actual skill but with a few buddies round this should cause some laughs. 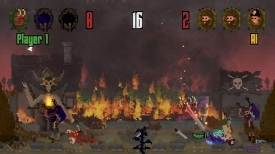 The graphics are in a pixel art style which is kind of fun but also means sometimes it is hard to differentiate from your players (often your one button will control not just one but a few characters) the moves and fighting looks good, this is just the demo version of Skirmish here but with some friends it should provide some fun, as a solo player game it may not be something that you return to regularly though. 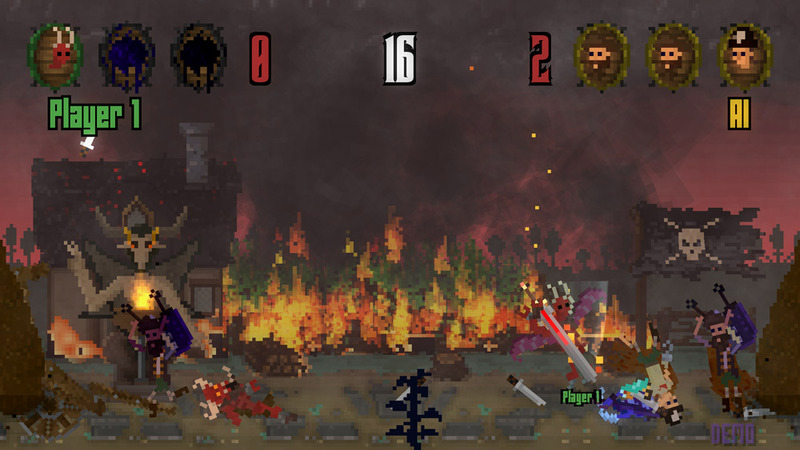 You can download the Skirmish Demo here for free.